Although officially this is a concept we are confident that the car you see before you is the close-to-production new Mini Clubman. Hot on the heels of the newly launched Mini hatchback, the Clubman now has six doors. The new concept has had quite a growth spurt over the current production model too, in fact it’s around 26cm longer and 17cm wider. Some people will be happy to learn that the third ‘Clubdoor’ has been ditched in favour of a more traditional four door shape giving the car a much more mainstream look, the van-like double rear doors however still remain. We expect the engines to follow the same line-up as those in the 2014 Mini hatchback and although nothing has yet been confirmed, we predict that the official production model will be unveiled later in the year. 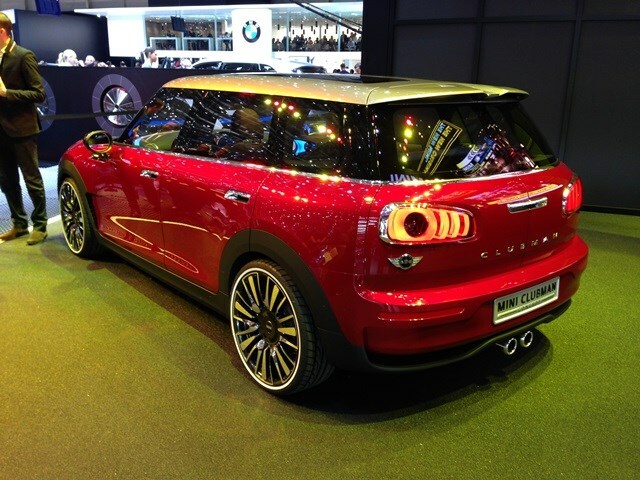 For more information on the Clubman concept click here. 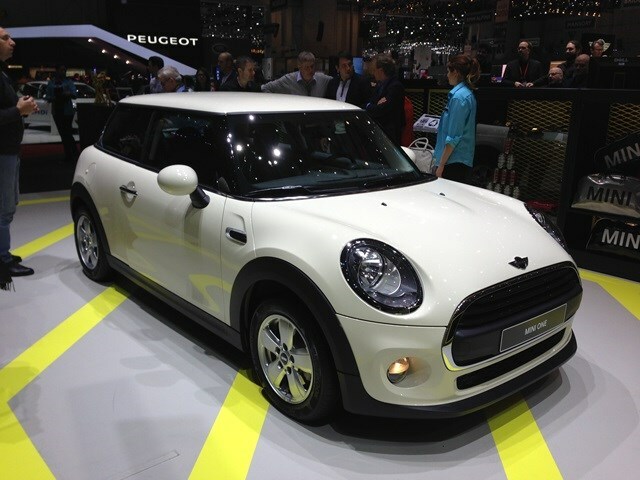 We also saw the paired-back MINI One hatchback, which becomes the new entry-level model in the MINI range.